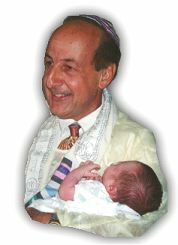 Dr. Abraham J. Benyunes (Mohel) Steps you through your baby's circumcision. © Copyright 2005 Abraham J. Benyunes. All rights reserved .